When you think of anti-aging products, one usually considers solutions that address only the physical aspects such as diminishing wrinkles and fine lines. 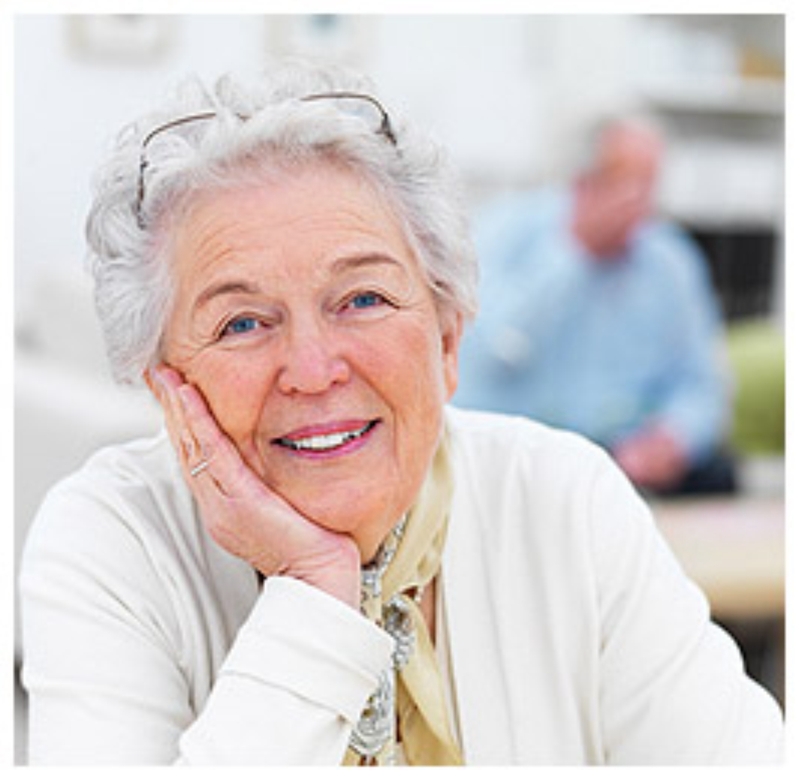 But an aspect of aging that is largely overlooked is mental decline. How can Sea Buckthorn improve our minds? Well let’s examine our brains first. According to scientists, mental decline, particularly memory loss is a universal consequence of advancing age. Cognitive decline and cognitive impairment which are associated with brain damage in old age also causes memory impairment. Many aspects of cognitive performance and memory decline throughout adulthood, due in part to oxidative damage in the brain, can begin as early as in the mid-20s. International measures of prevalence of dementia observed rate of 2.2 to 8.4 percent in all those over the age of 65 years, 10.2 to 16.0 percent after age 65 and 15.2 to 38.9 percent after age of 85 years. Several modern means have been introduced to manage age related cognitive deficits but research shows that their long term applications have several possible undesirable consequences. Unlike most synthetic solutions, Sea Buckthorn (Hippophae rhamnoide), a plant grown in Himalayan region, has shown its beneficial role in the prevention and management of several age related problems minus the neurologic, endocrine, allergic and metabolic side effects. In various studies, Sea Buckthorn’s dietary antioxidants, including polyphenols and essential Omega 3 fatty acids have repeatedly been shown to reduce cognitive decline and improve acute cognitive function in older individuals, Alzheimer’s patients, and animals. In a recent study by the Institute of Medical Sciences of Banaras Hindu University, scientists treated a number of elderly individuals who suffered from dementia with Sea Buckthorn juice for six months. The results showed an overall improvement in cognitive functions; and, that the Sea Buckthorn treatment appeared to be an assisting remedial measure for age related memory and other cognitive deficits. What is it that makes Sea Buckthorn so effective in this study? Well, it was found that Sea Buckthorn’s anti-oxidant polyphenols remove free radicals in the body which have the potential to cause oxidative damage to the brain. Learn about sea buckthorn’s antioxidant profile here. In 2009, the Journal of Food and Drug Analysis investigated the effects of oral supplementation of Sea Buckthorn fruit extract on behavioral deficits and changes in brain serotonin of rats. Results revealed that after two weeks of oral administration of Sea Buckthorn fruit extract, rats exhibited significant increases in locomotor activity in their home cages and exploratory activity in the open field. All berries have great antioxidant benefits. And the benefits of antioxidant berries such as Sea Buckthorn have been known for some time. With its blend of essential fatty acids, vitamins, minerals, anti-inflammatory properties, and strong antioxidant blend, sea buckthorn is an anti-aging marvel. It helps keep the body young and healthy from the inside out and can help reduce wrinkles and prevent premature skin maturation. Now we’re finding multiple reports that the Sea Buckthorn berry has been found to be beneficial in regenerating brain cells, and may help fight Alzheimer’s disease. Read about sea buckthorn’s anti-aging properties here. The Effect of Sea Buckthorn, a Polyphenol-Rich Fruit, On Cognitive Function. M Warnock, J Wallace and J McGeachie. School of Health Sciences, Queen Margaret University, Edinburgh. is there any side effect after a long period of comsuming the sea buckthorn? Can a patient with hypertention on medical treatment taking this product? your generise reply are very much appreaciated. thank you. 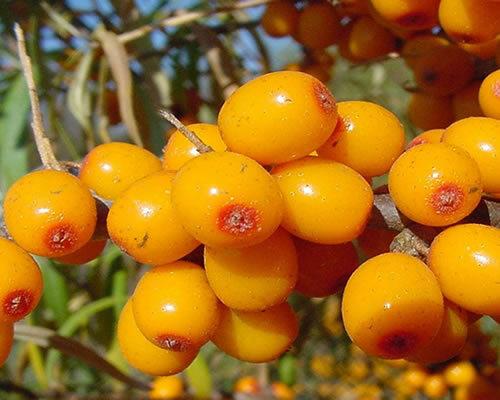 Sea buckthorn fruit appears to be safe when consumed as food. Sea buckthorn fruit is used in jams, pies, drinks, and other foods. Sea buckthorn fruit might also be safe when used as a medicine. It has been safely used in scientific studies lasting up to 90 days. Please note that sea buckthorn is nothing but a fruit. Do you question fruits and berries when considering side effects, hypertention, or taking medicine? I’m unaware of any medication or medical condition that would be negatively interfered with by ingesting a fruit. That being said Sea Buckthorn does have a high level of essential fatty acids such as Omega 3, 6, 7, and 9. Very high levels of Omega-3, such as large doses of Sea Buckthorn Seed Oil or Fish Oil, can thin the blood a bit and cause problems with clotting. This can result in more bleeding and/or a delayed clotting effect. Please keep in mind the dose would have to be VERY high for this to happen and as such is not something most consumers will ever have to worry about. Omega-3 fatty acids help reduce Cholesterol levels and may reduce Blood Pressure. I would recommend to check with your doctor or primary care physician if worried. That being said, we can’t find any reason why sea buckthorn consumption would have negative effects for those with hypertension and can only find positives. Essential fatty acids, vitamins, minerals, antioxidants …. these are nutritional health boosters and they’re 100% natural in sea buckthorn form. Please let us know if you have any other questions! Hope this helped! I just started using a Omega 7 product made from sea buckthorn, and on the morning of the 3rd day of use, I woke up remembering names of people, that I haven’t remembered for years. My memory is better than it has been for many years, and is improving every day. Today is only day 4 and I am now remembering names of people I knew in grade school. I am 63 years old, I have always had a good memory, but even for me this is a miracle. I have not changed anything else at all!